Having me give advice on organization is humorous at its best, but after spending the better part of a weekend organizing I feel like I can at least tell you what I did and brag on my Husband. When we moved into the new suburban house everything that we were not sure we wanted or had a place for, ended up in the garage. Sound familiar? It was GROSS. I literally had to climb over stuff to move through the garage if I wanted to go from the front to the laundry room. Take it all out of the garage. We move the cars and drug it all out on the driveway. IT WAS EMBARRASSING FOR OUR NEIGHBORS TO SEE OUR MESS but it was the only way to sort it all out. We needed to be able to see everything. Sort before moving it back in. Open every box, pull it all out and make sure you want to keep it. We had our trash can full before we got anything put back in the garage. 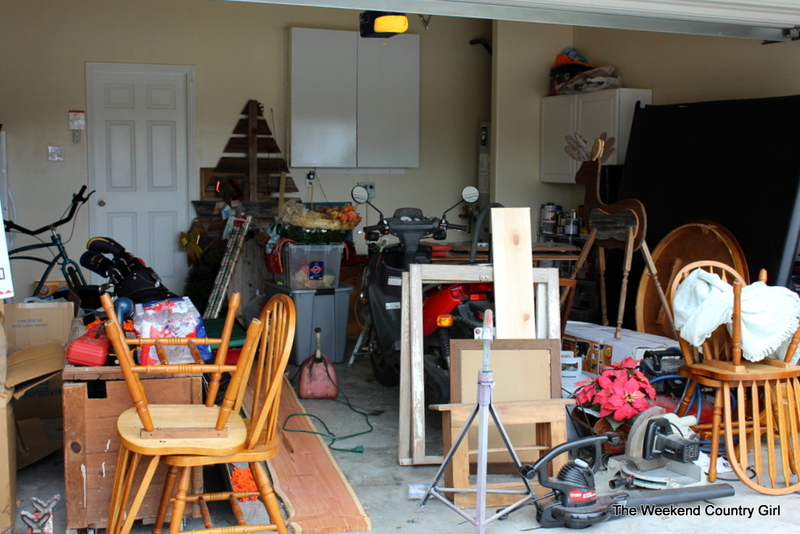 We had three sorting piles once we decided it was not trash; garage, tool shed, and inside the house. 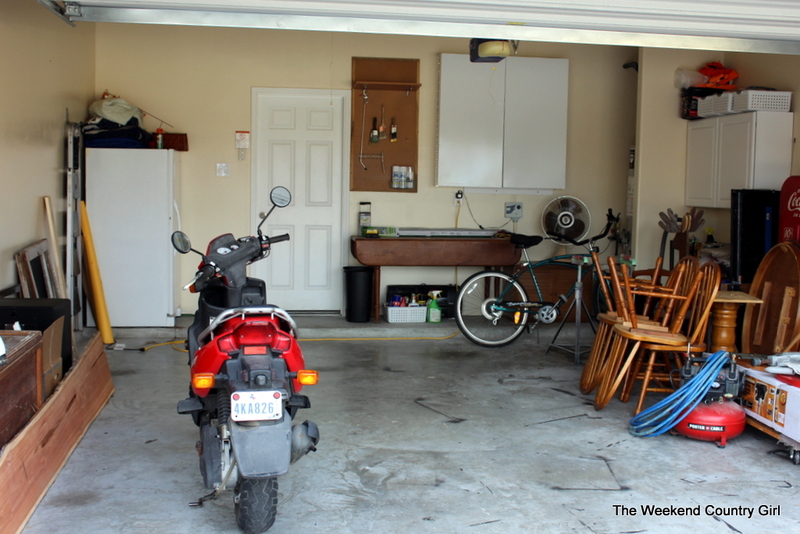 We moved stuff to the right piles then took it to the correct location before we started on the garage stuff. Go vertical. 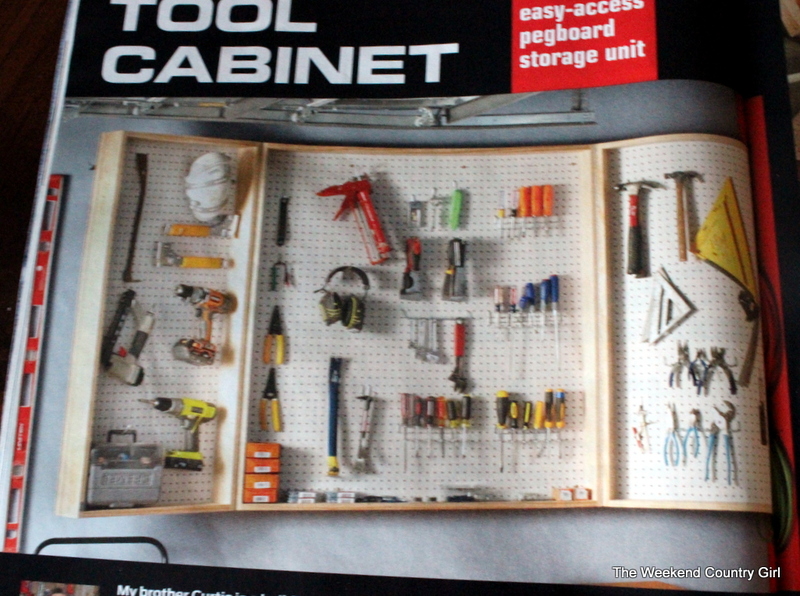 See this awesome cabinet? 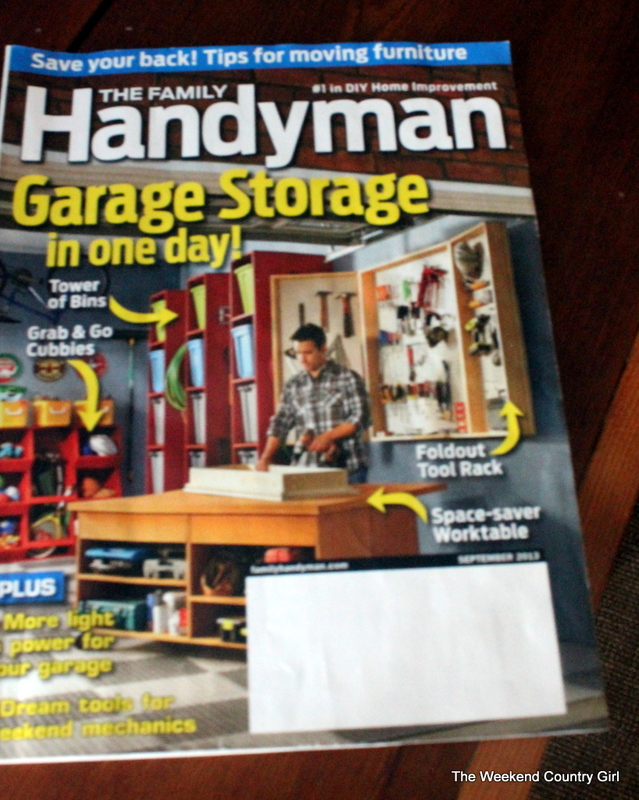 My Hubby made it using a pattern from Home Handyman magazine. 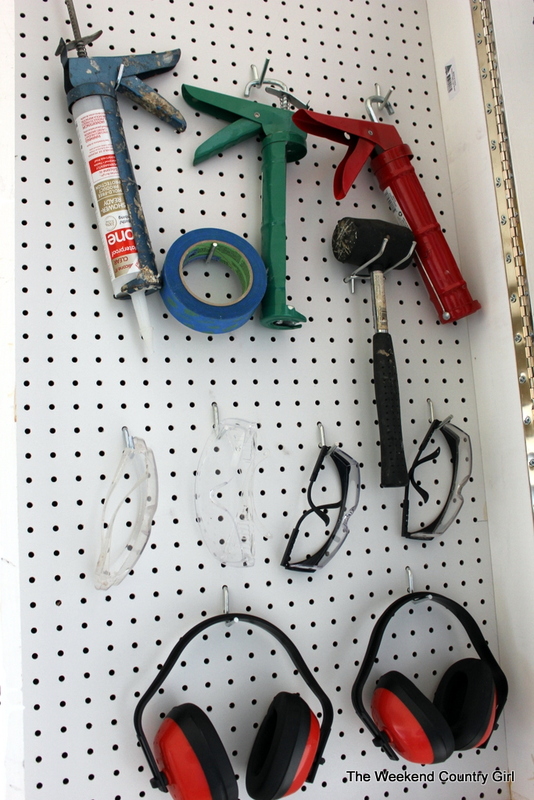 The whole one day thing did not work for us, mainly because tools are scattered between the two garages. 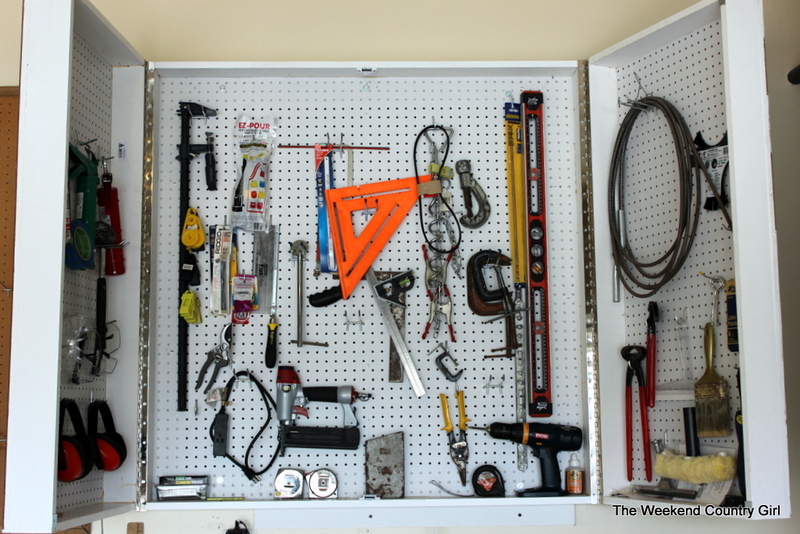 It is great to store stuff on the wall. 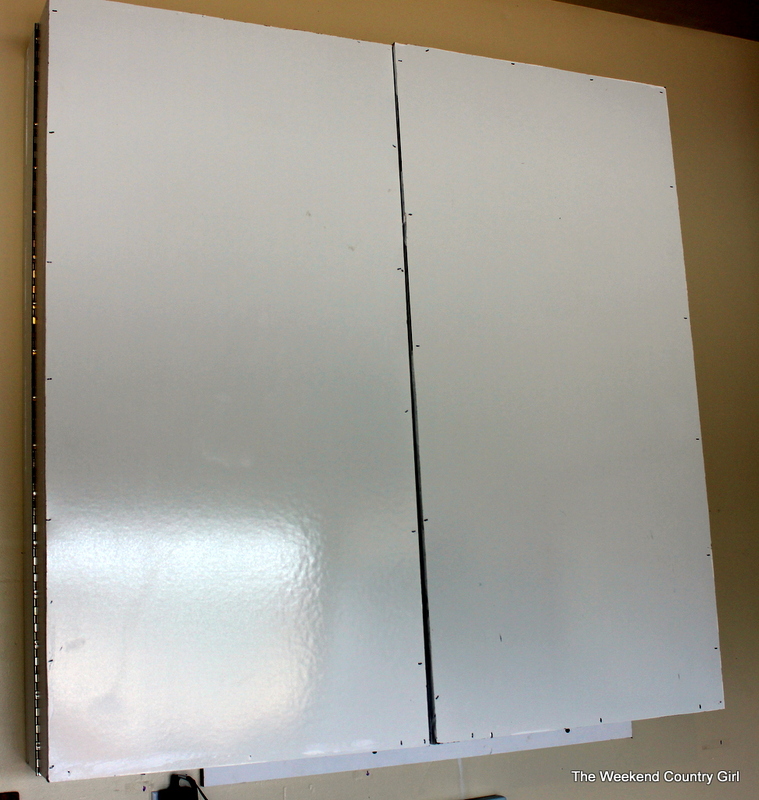 It has a dry erase board on the front. 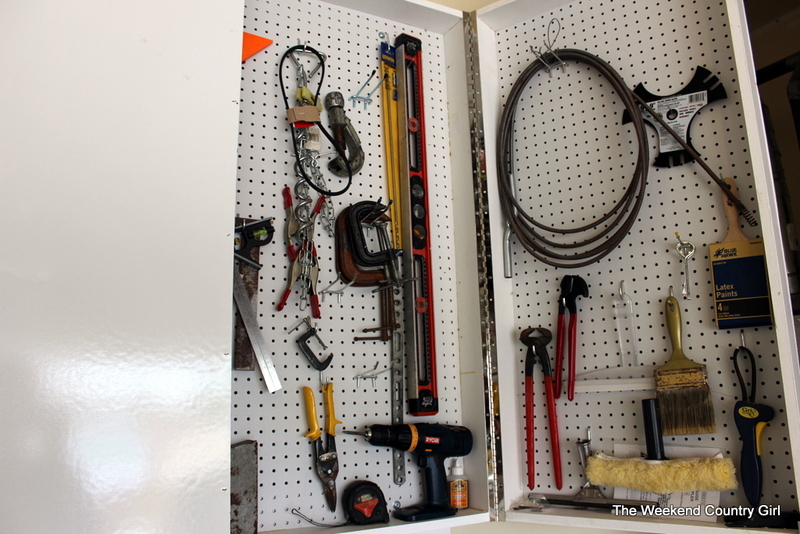 I love that it holds drills, caulk guns, safety gear, and levels all at eye level. See how much like the magazine it looks? 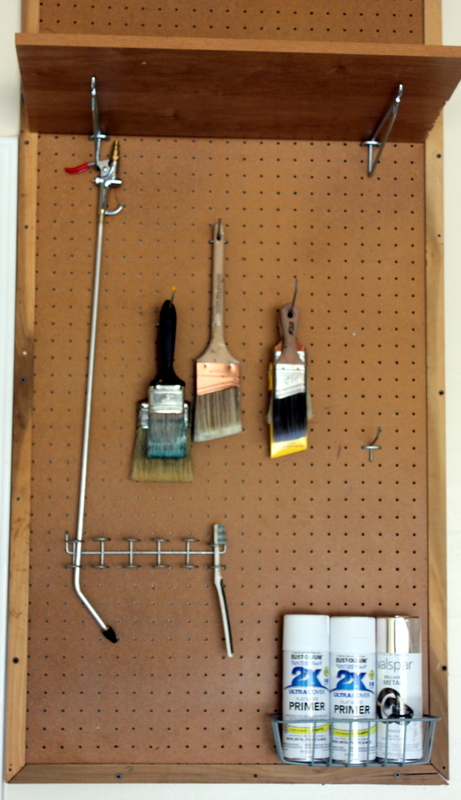 We also installed a small pegboard for me to keep paint brushes, screwdrivers, and spray paint cans. 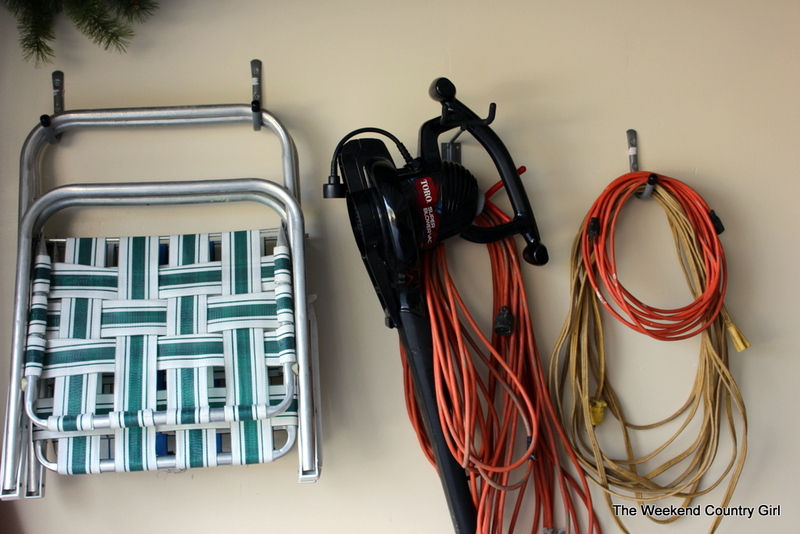 The blower and extension cord now have their own hooks, the lawn chairs have another set of hooks, and the toolbox is a rolling vertical chest. 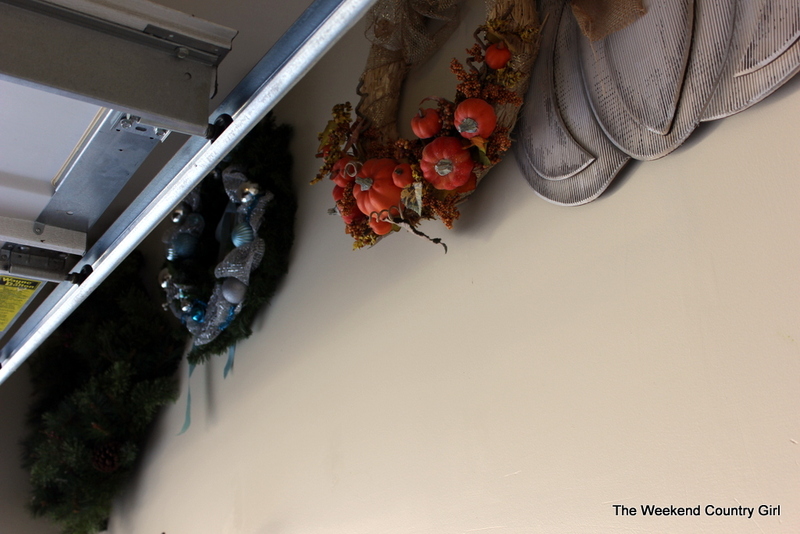 Probably the best use of vertical space is storing my wreaths. See where I have them? They are up out of the way not getting crushed. Get rolling storage. 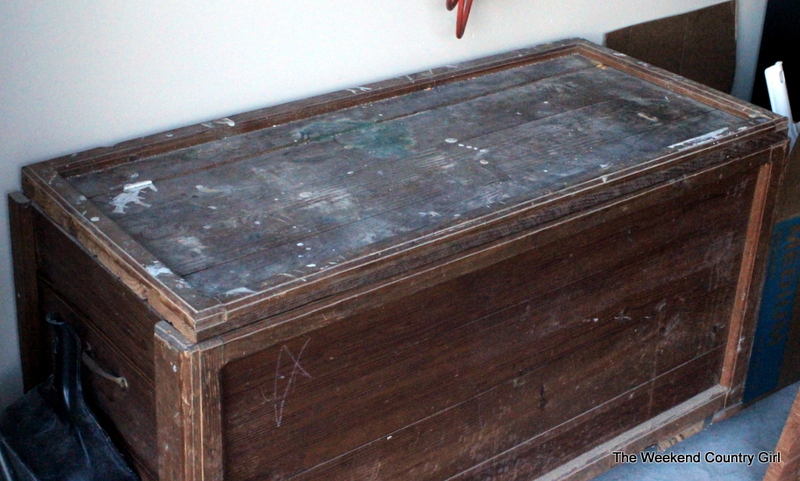 See this rough looking chest? It was built by my husband out of scrap tongue and groove pine 30 years ago. 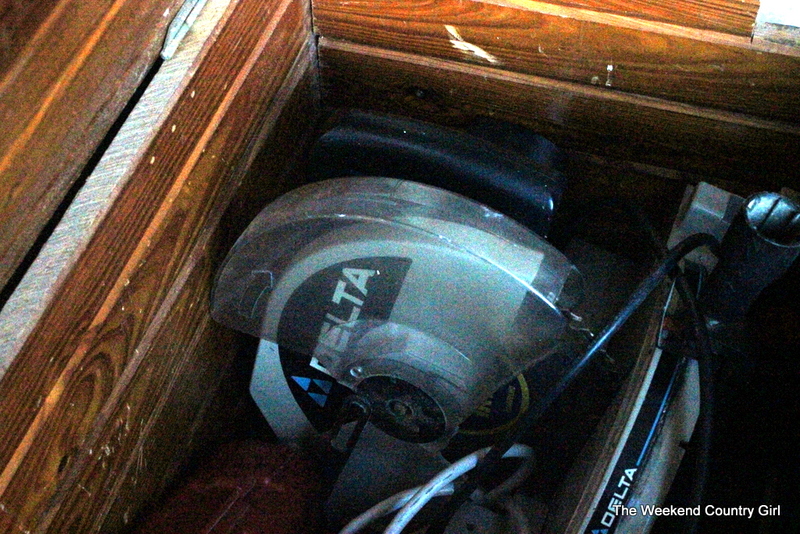 It weighs a ton but it holds our chop saw, our circular saw, and grinder along with other assorted electricity requiring power tools. It rolls in and out of where we need it to be. Like I already said I am no expert on organization, but this worked for us. 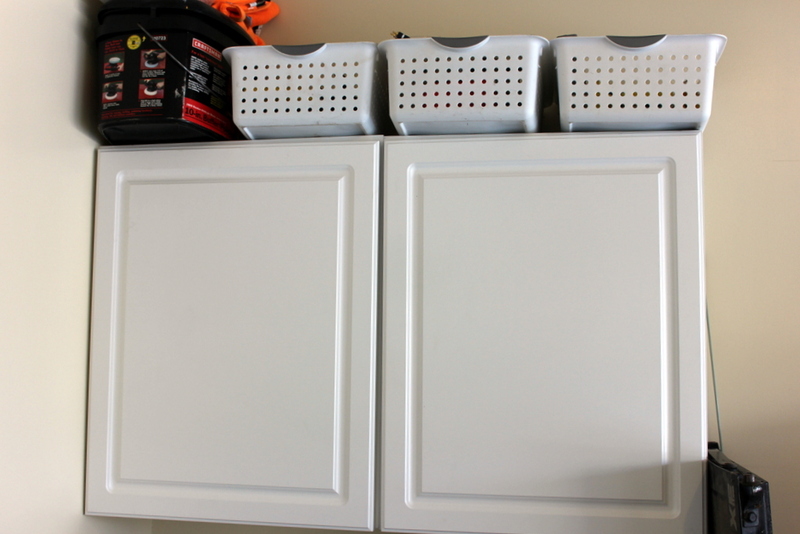 In the future we plan on adding some more wall cabinets along the side wall but some stuff still needs to come out. The Coke machine is getting a makeover soon and will be moved to the Garagemahal and the table and chairs are sold as soon as I get them redone. If it ever stops raining, sleeting, and in general being winter here in south east Texas. 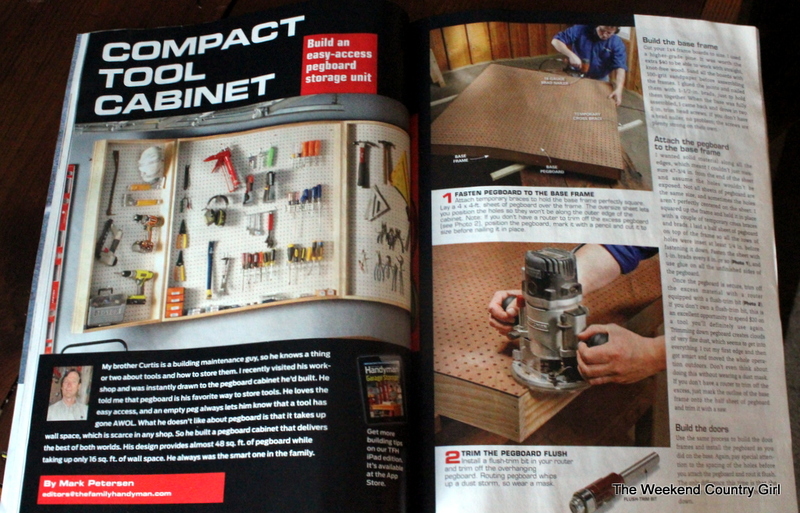 It is my plan to add a narrow work bench to the space. I have been eyeing this one on Pinterest because it stores wood and has two levels. Even though we were both tired and sore when we finished, we were also pretty proud of our efforts.